Read about how the 2018 program went! 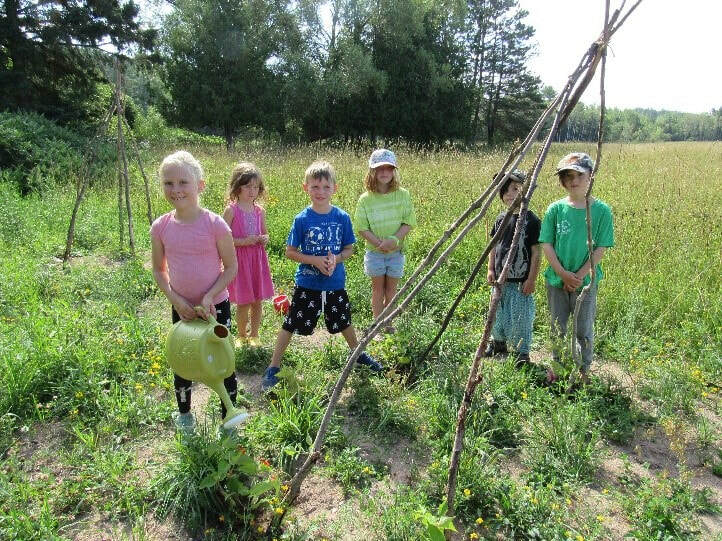 Despite extreme temperatures in the Desbarats area, we had a great turn out for TKC Junior Explorers. I am so thrilled the kids had an opportunity to participate in so many different activities. We kicked the program off with having the kids plant beans at the bottom of wigwams. They have grown exponentially since the beginning of July and have started to produce beautiful scarlet flowers. They also planted lettuce and radishes to take home for their own gardens. 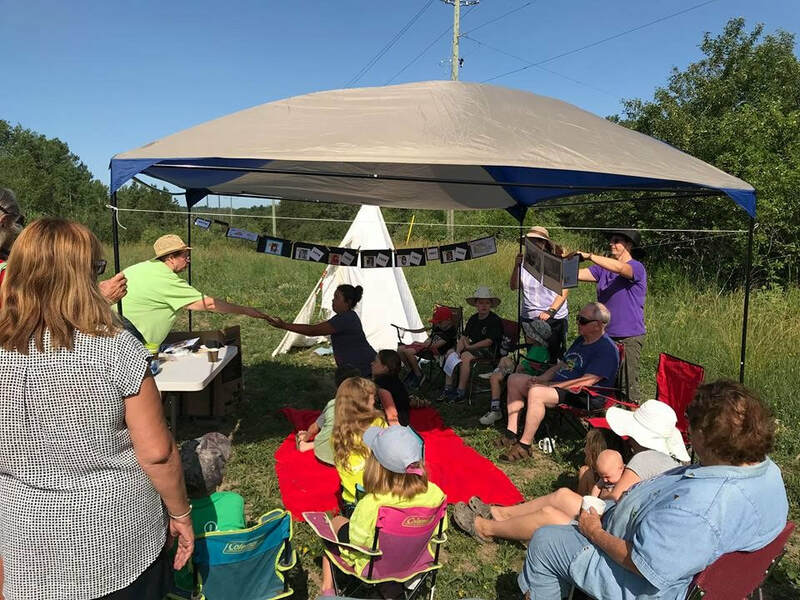 We were fortunate to have Sylvia Stobie and Lois Charron from Desbarats Remembers come and do a local history presentation for the kids and some individuals from the community. They took the kids down a timeline starting in 2018 and time travelling all the way back to the 1850’s. Along with their presentation, we had the Metis Nation of Ontario come out and teach us about Metis culture and demonstrate traditional dance that the kids were able to learn and participate in. A personal highlight for me from this summer was when we went down to our Archibald Homestead and the kids were able to go fishing. The water is quite shallow so the kids were able to watch the fish swim right up to their lures making it a very successful and exciting morning with approximately 20 Yellow Perch being caught and one Pumpkinseed. There were also a few Smallmouth Bass swimming around the dock but none were able to beat the Yellow Perch to the hook. 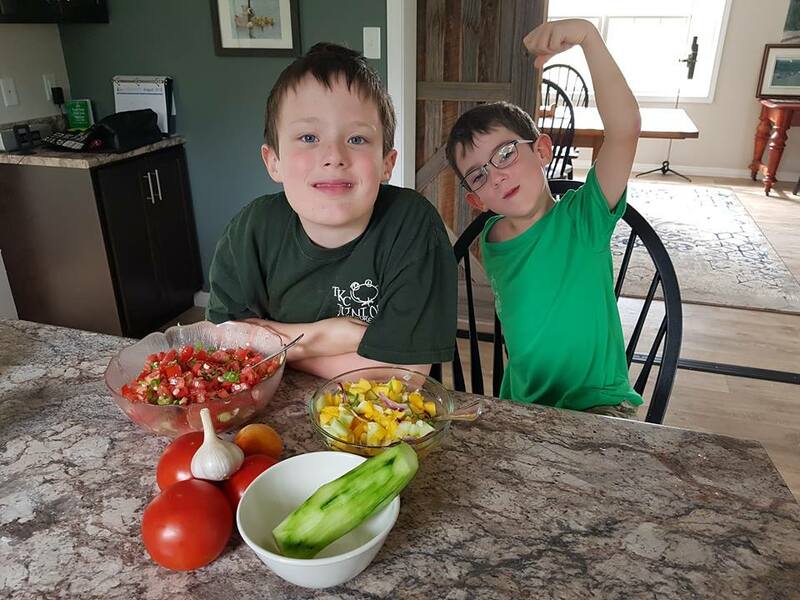 Overall, this summer has been full of a variety of activities, from scavenger hunts, to hikes, to creating their own paint with berries and plants. I want to thank all the parents who have participated with their kids and all the kids who came and made this possible for me. I hope you have learnt as much as I have and I hope you continue to participate in the TKC Junior Explorers program in future years! 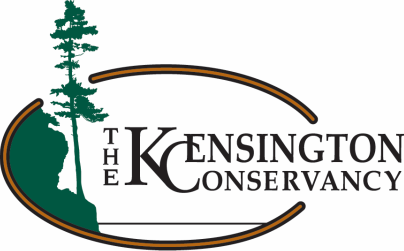 TKC Junior Explorers is an environmental education and outdoor appreciation program for kids 5-10 and their families. The program runs two days a week through July and part way through August.